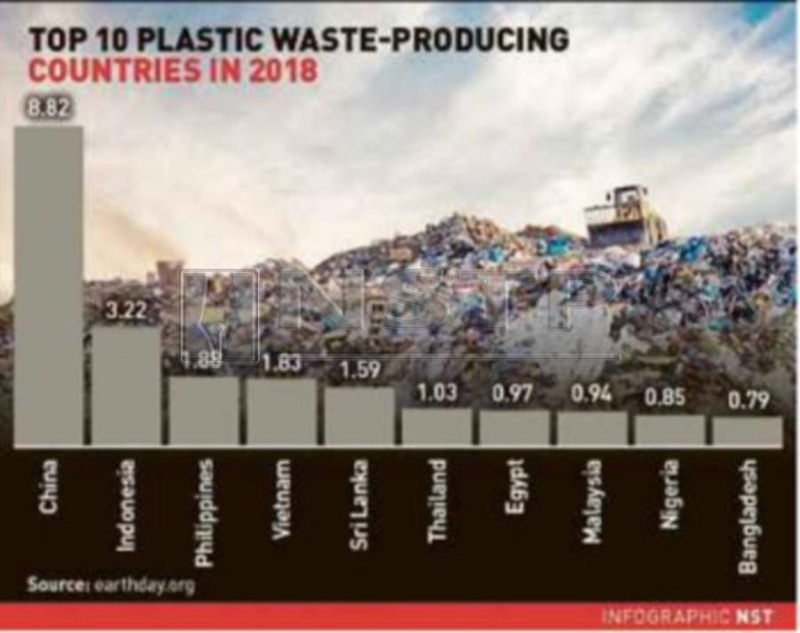 DISPOSAL of solid waste, in particular materials made from plastic, is seen to be the biggest environmental threat to the world, especially for countries surrounded by oceans, including Malaysia. Plastic material, which does not easily decompose, has adverse effects, not only on aquatic animals, but also on humans. 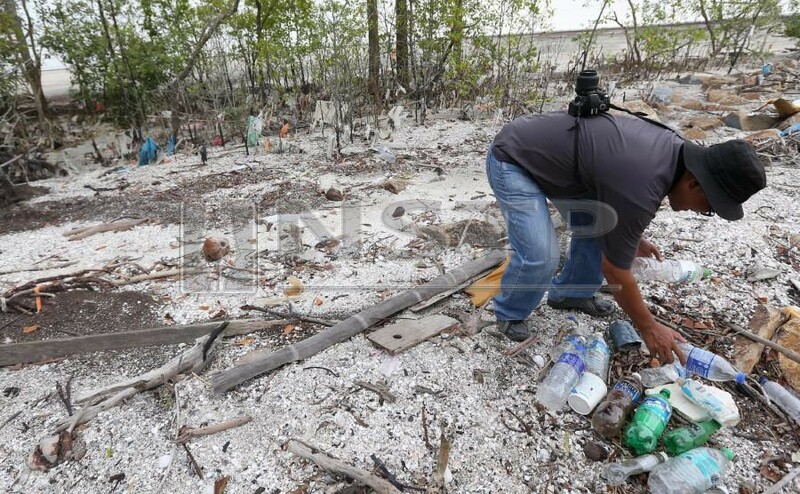 Universiti Putra Malaysia’s Faculty of Science lecturer at its department of Biology, Professor Dr Ahmad Ismail, said aquatic animals, such as fishes and turtles, were especially in danger because they mistook drifting plastic for food. “Even more worrying is the fact that plastic material consumed by fishes can cause a chemical reaction in their body, and is absorbed into their tissue. 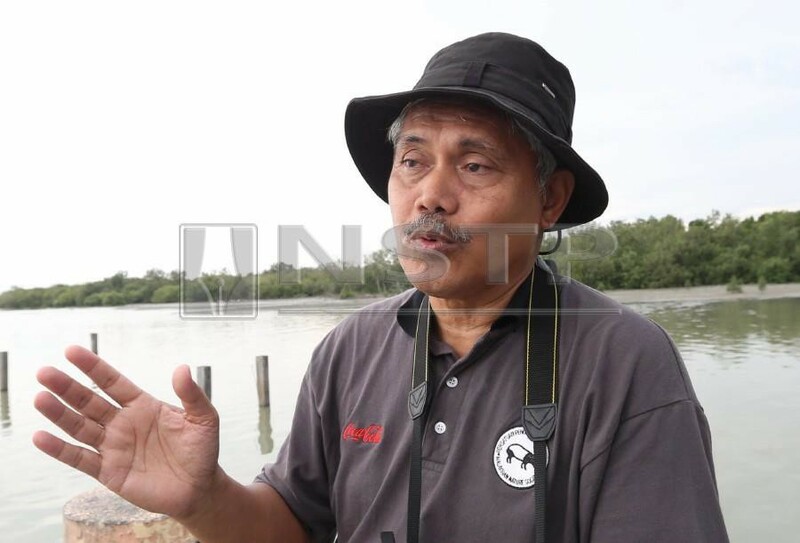 And these fishes are eventually eaten by humans,” he told the New Straits Times Press (NSTP), while conducting research in coastal areas here recently. Observations by the NSTP team at beachfront locations showed that plastic waste was found on tree branches and in mangrove areas. An increasing amount of plastic waste in beachfronts is alarming. Experts said waste dumped into the sea would return to land, and this affected other ecosystems. Marine pollution also posed a threat to the fishery industry as it caused an imbalance in the ecosystem, and affected the fish population. Ahmad said plastic waste pollution could happen anywhere at any time, due to the ocean’s tide. “These plastic wastes could have originated from our country or a foreign country. We will never know because every plastic thrown into the ocean will find its way to a beach. He said, as a country surrounded by oceans, Malaysia was part of this global issue, which should be jointly addressed. He recommended that the authorities review ways of managing plastic waste, including promoting recycling. He said the issue should be taken seriously, and urged for awareness to be raised as the issue posed a health risk to people.